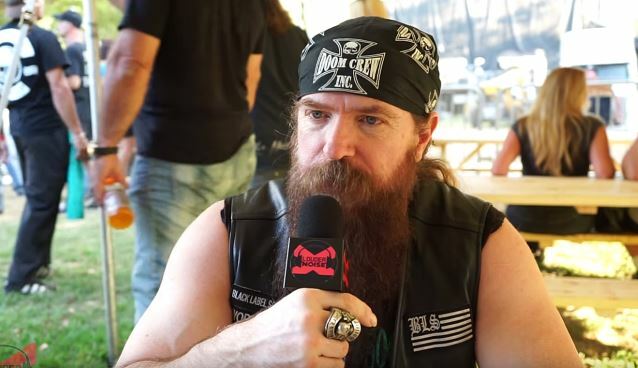 BLACK LABEL SOCIETY leader and former OZZY OSBOURNE axeman Zakk Wylde has confirmed that he is working on "Book Of Shadows Volume II" for an early 2016 release. The effort, which will be made available on the 20th anniversary of the arrival of the original "Book Of Shadows" album, will be followed by a world tour to support that side of Zakk's music. Speaking to Louder Noise, Zakk said (see video below): "Obviously, the 'Book Of Shadows' thing is more of an acoustic thing and more mellow — the mellow stuff as opposed to the heavy stuff. But yeah, that's what we're working on right now. I can't believe the album is twenty years old. But we're always writing mellow stuff. I mean, once I get done doing the heavy thing for a while and writing riffs, once you get worn out on that, I'll just either pick up… sit behind a piano or pick up an acoustic [guitar], and then it just puts you in a different state of mind when you're writing. So that's all it is to me."